Jon Goose - Builder, Kitchens based in Quarry Road, Surrey. 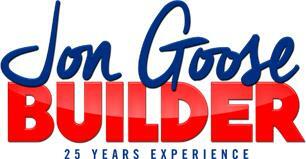 Over 20 years’ experience as a General Builder. We are a Friendly Family Company. We are proud of our work and do not take advance payments, therefore leaving you in control of your project. In my profile photo's you can see examples of: Extensions, Garage Conversions, Kitchens, Bathrooms, Painting & Decorating, Loft Conversions, Porches etc. Call me to discuss any project you may be thinking of doing. We aso supply a Handyman service and no job is too small. There is no obligation and all quotes are free of charge.